Thank you for your interest in playing for Purple Rain Soccer Club. The dates and times of our tryouts are listed below. All players must register for tryouts. There is no fee to register. 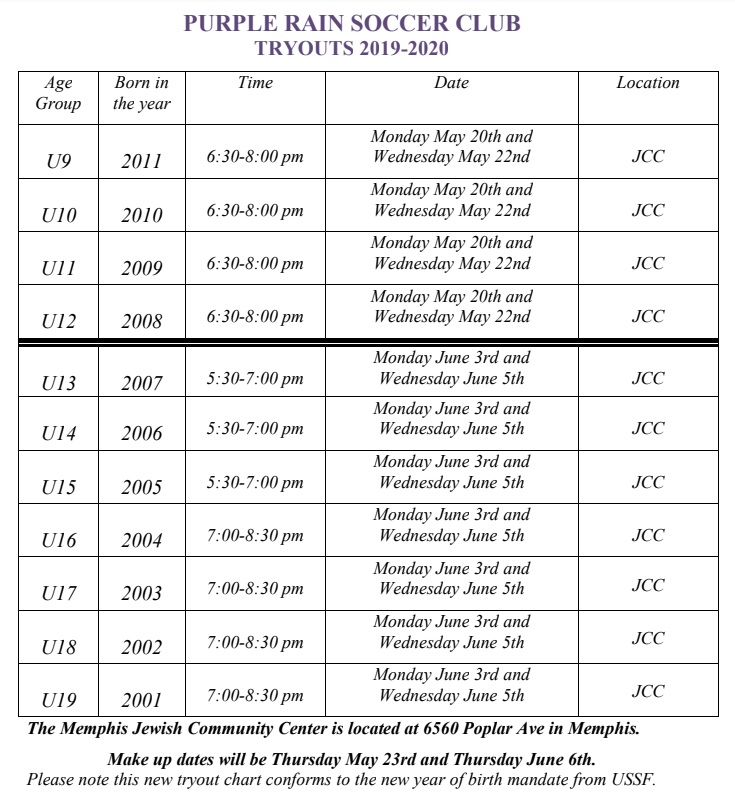 Please review the chart below to see when and where your age group will try out. Please arrive 30 minutes prior to the scheduled time on day 1 to allow time for check in. All players will receive a tryout number. Please keep this number and bring it to all sessions. Please bring a ball, water, shin guards and cleats to all sessions. If you have any questions, please email Jay Laney at jlaney1569@gmail.com.